Evernote provides a quick and convenient way to capture and access all kinds of data. Whether you're using Evernote as an indidual or as part of a team, we'll help you get the most out of Evernote. Evernote provides a repository for a wide variety of information. For example, you may use Evernote to store notes that you took in a meeting, a photo of your child's latest artwork, a business card you were handed at a conference or an interesting article you found on the Internet. There are many ways to use Evernote. We help people and companies tailor this powerful, yet simple app to match their specific use cases. This includes deciding how to use notebooks and tags and establishing conventions for naming notes (this is especially important when Evernote is used in a team setting). 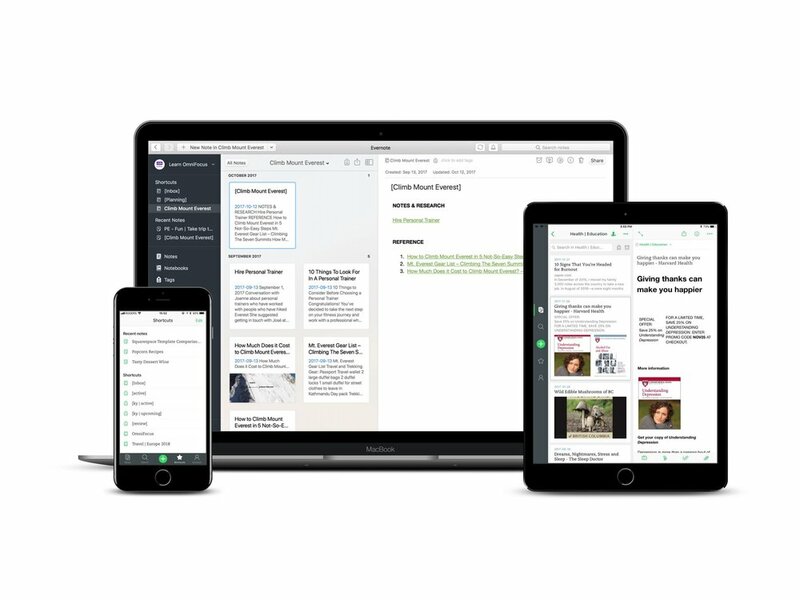 Evernote appeals to a wide range of people, from individuals using it for personal use to Fortune 500 companies that rely on Evernote to share information within teams. Information can be captured and accessed on virtually any platform, making it a truly universal productivity app. Evernote supports virtually all computers and mobile devices. On computers, the sophisticated Evernote Web Clipper makes it easy to capture information you find on the web. And Evernote makes good use of mobile devices' built-in cameras to intelligently scan documents and to automatically extract contact information from business cards. Once captured, there are a variety of ways to organize your information for easy retrieval in the future. Notes can be stored in Notebooks and classified using tags. Evernote can also automatically keep track of when and where notes were taken and allows you to search for text contained within images and scanned documents. Note that some features are available using a free Evernote account, and others require a paid upgrade to Plus, Premium or Business account. Visit the Get Started page whether you're new to Evernote or thinking of upgrading. If you're brand new to Evernote, we'll help you or your organization get up and running with Evernote. This includes deciding what information is best stored in Evernote and helping you decide how best to organize the information that you'll be adding to your Evernote database. If you're already using Evernote, we'll review your existing setup and make recommendations for using Evernote not effectively and efficiently. If the amount of data you have stored in Evernote has become a bit unwieldy, no worries. We'll work with you to create a plan to get everything back on track, automating the process as much as possible. Will a clear sense of purpose, we'll work with you to design or redesign your Evernote setup and workflows in a way that makes it quick and convenient to capture, process and retrieve information. This includes working with you to decide how to make use of notebooks and tags, creating shortcuts for common searches and defining naming conventions for notes and notebooks. As we go through this process you'll learn more about Evernote features and best practices. One of Evernote's strengths is that it integrates with a wide variety of other apps. Some of this integration is built right in and others requires using a third-party app such as Zapier or TaskClone. We'll work with you to implement automations so that Evernote becomes an integral part of your productivity system. If you're using Evernote within an organization, it's important that everyone who will be using Evernote has an understanding of the Evernote's features and the conventions that have been adopted within your organization (e.g. naming conventions for notes and tags). It's equally important team members are educated on how Evernote will make life easier for themselves and the rest of team. An introductory training session is recommended for everyone who will be using Evernote. It will provide them with everything they need to use this app effectively, and a good dose of inspiration. A separate advanced training session can be arranged for people who need a more in-depth of Evernote's capabilities. This typically includes people who have responsibility for administration and data integrity. Please note that we don't provide ad hoc technical support. Instead, we recommend visiting Evernote Help & Learning, where you'll find an extensive library of support articles and instructions on how to contact their Support Team. We provide Evernote consulting and training in-person in the Vancouver, Canada area and remotely all over the world using the Zoom online meeting platform. Our services are either billed on an hourly on contract basis. Please see our Platform & Rates page for more information. If you're interested in our Evernote Consulting & Training services, please take a moment to complete the following form and we'll be in touch. Thanks for your interest in our Evernote Training & Consulting services. We typically respond to messages within two business days. Evernote allows you to conveniently capture, organize, access, and share information using virtual any device. Evernote supports intelligent capturing of information (e.g. business cards, documents, blog posts) across a wide range of devices. Captured information can be organized in a variety of ways and retrieved in an instant. It's equally easy to share information with others or even make it publicly available. 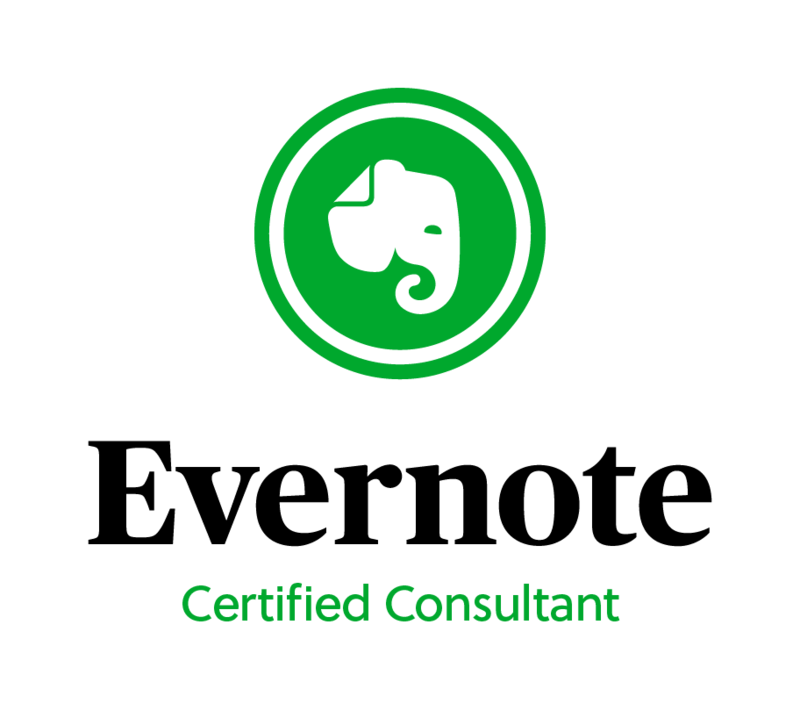 Technically Simple founder, Tim Stringer is an Evernote Certified Consultant. He's been an avid Evernote user since 2008 and helps people and companies all over the world use it effectively.